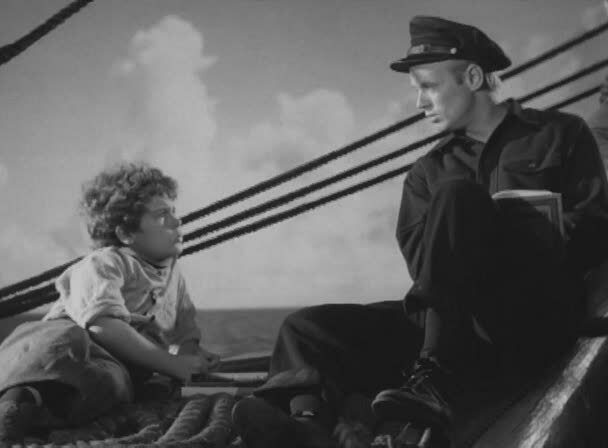 DOWN TO THE SEA IN SHIPS is a little slow and talky for the first 25 minutes of its 120, but be patient and you’ll be rewarded with a rich adventure, unabashedly romantic in outlook, but so skillfully acted and directed that you’ll readily go with the flow. Setting out from New Bedford in 1887 is a well-rigged whaler, commanded by a crusty old sea dog who won’t retire, despite being 70 and crippled. Taking care of most of the operation is a college-educated first mate, who is also given the task of providing book-learnin’ to the old man’s grandson, along for his first voyage. The boy begins to idolize the teacher, raising jealousy from Grandpa. Lionel Barrymore is perfectly cast as the tough old coot, and he’s ably flanked by Richard Widmark (5th film and first sympathetic role) and Dean Stockwell, all of 13. 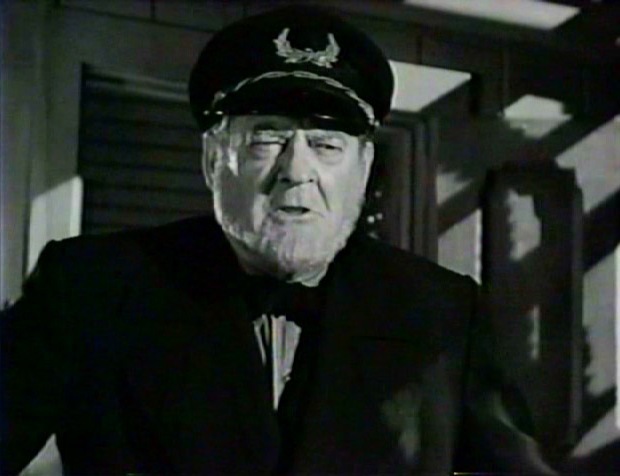 There’s a good supporting cast: Cecil Kellaway, Gene Lockhart, Jay C.Flippen, Harry Davenport, John McIntire, Harry Morgan. Henry Hathaway directed in his no-nonsense manner, camerawork is sharp thanks to Joseph MacDonald and Alfred Newman whips up a rousing score. Script has compassion, humor and insight flowing naturally out of the plot development, although you do have to bear in mind that while today the pursuit and slaughter of whales is rightly seen as repugnant, it wasn’t yet an issue in 1949 when this came out, let alone the jot of a thought six decades earlier, when the story was set. 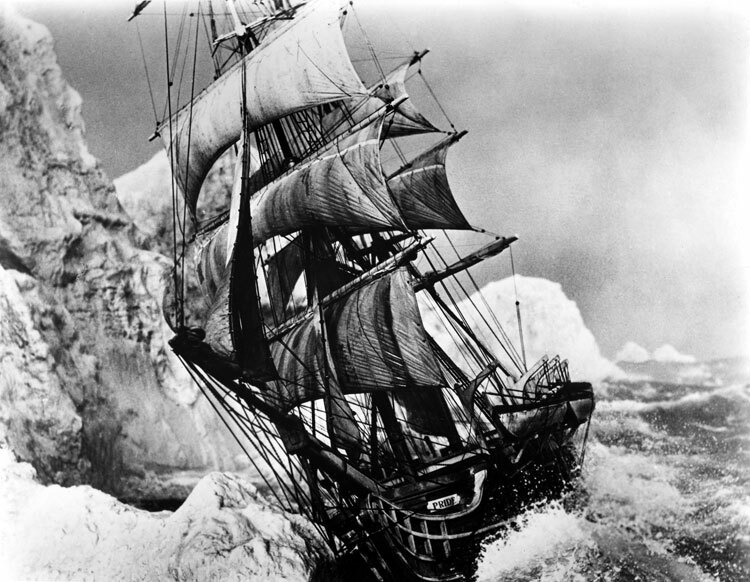 Most spectacular is a tense sequence where the ship is hung up on the spur of an iceberg. 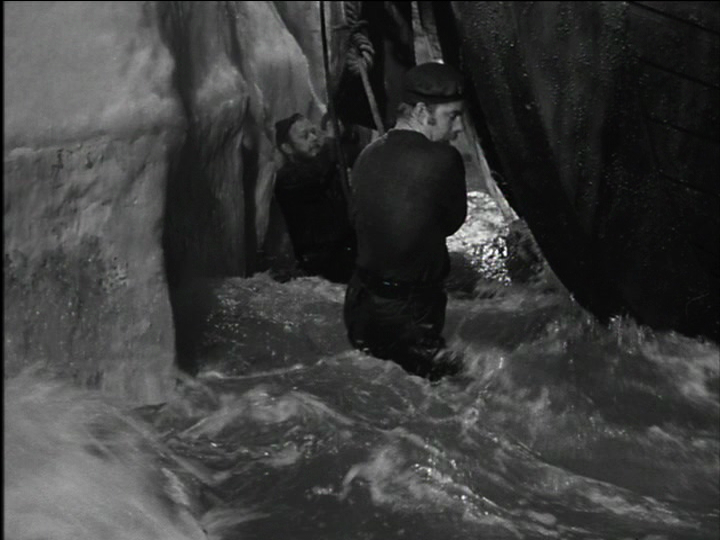 Crewmen lower a boat to patch the hull as the waves batter the vessel against the berg!